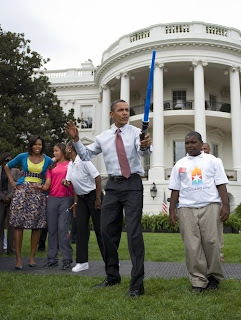 What made you think that Obama, is the nerd President? Any guess? 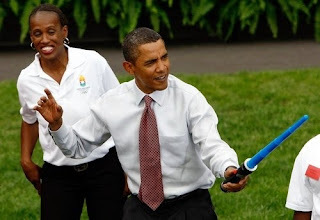 It's because of the images that Obama is called a nerd. Isn't it that nerd is define as boring, stupid person or an intelligent but single-minded person obsessed with a nonsocial hobby or pursuit? Why did gawker branded Obama as nerd. The picture can sufficiently demonstrate it. Any thoughts from your mind?